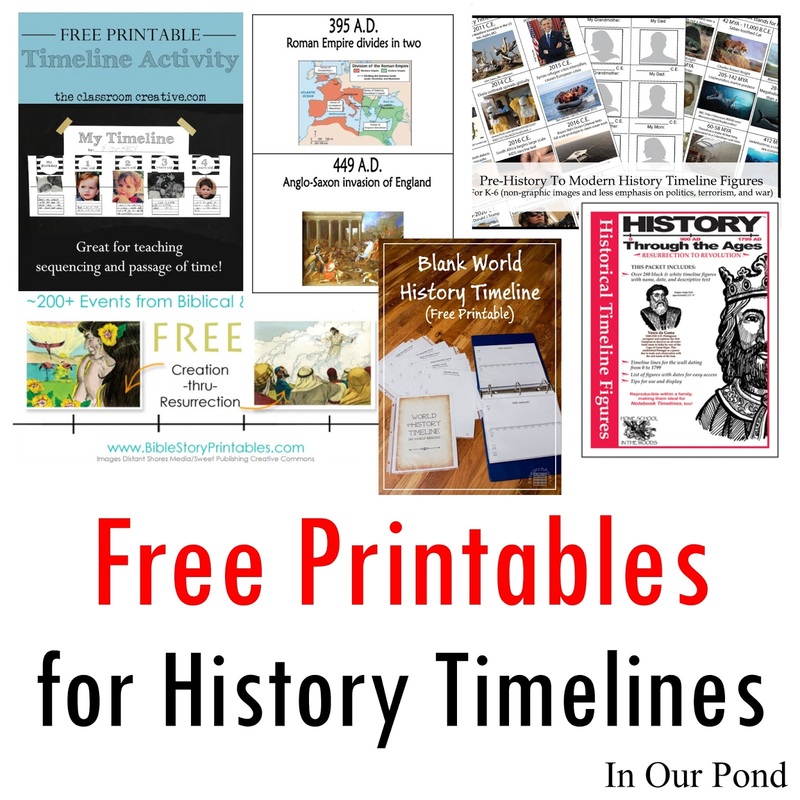 I've been searching for a good history timeline for quite a long time. Time is such a slippery concept that I'm sure a visual would be very helpful for all of us. After searching Pinterest for days, I finally decided that I'm really picky. Instead of continuing my research, I decided to turn it into a blog post. I don't guarantee that this list is exhaustive, but they're all free! I find these pictures very engaging and interesting, so I think they would be good for younger kids. They are secular, though, and are dated to reflect that reality. This also wouldn't be a good timeline if you want to focus on Biblical history. I think the strength of this set is in the modern history cards. This set seems to be very popular on the internet, especially with families who are using the Story of the World (SOTW) Curriculum. 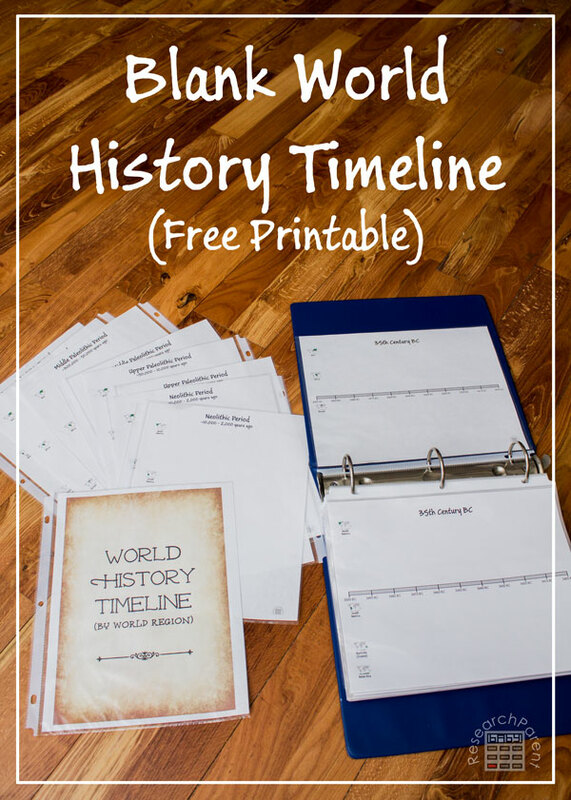 Each of these timeline cards is half a sheet of paper, but they can also be printed with more than one sheet to a page to create a deck of cards. This blogger only did volumes 1-3 of SOTW, so another source will need to be found for modern times. 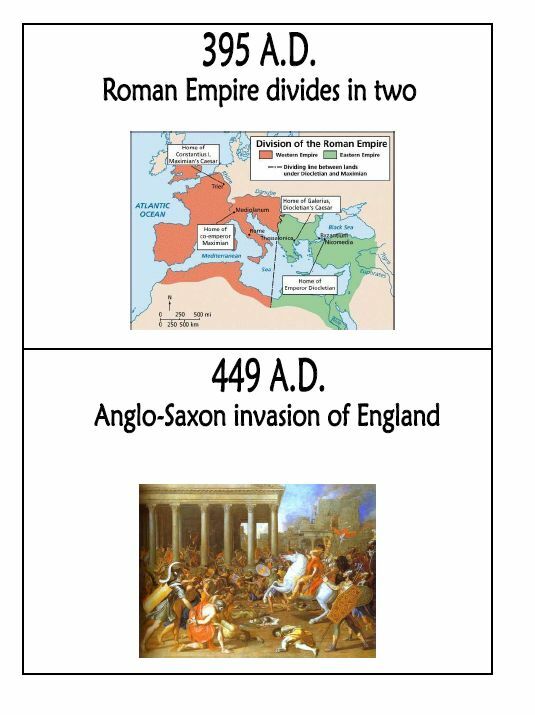 The figures correspond with the Mystery of History (MOH) curriculum, which weaves Biblical history with world history. The cards come either pre-printed or digital copy, and are complete for all volumes of MOH. The figures are in black and white, which is cheap to print, but not as visually appealing as the full color timelines. This blogger mom is creating a very in depth history timeline, starting with the ancient civilizations. She has a lot of Montessori-inspired 3-part cards for history and other subjects. The content is far from complete, though, which may be a disadvantage depending on the curriculum. Another set of MOH cards, except these only cover the period of Biblical history. They simple line drawings, which would be helpful for younger kids. 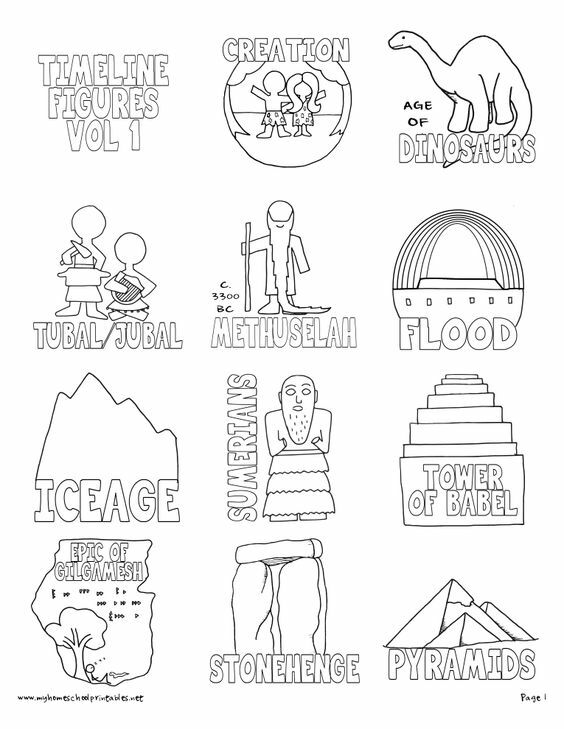 These cards cover only Biblical history and would be good for church classes or family devotions. They could be used alongside a Bible to be their own curriculum, allowing the cards to guide to stories and discussions. 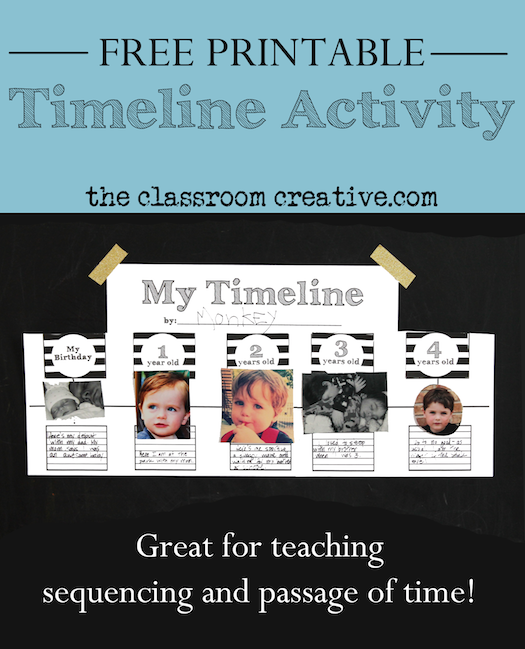 A different sort of timeline, but an important one for introducing the concept of time passing within a child's life. This printable covers only a few years, but it could be expanded to encompass a family's history.